Last week I picked up a copy of Mark Batterson’s book The Circle Maker. It was right on time for this season in my life. Mark is a church planter and pastor and in his book challenges us and reminds us of the significance and necessity of fervent, consistent prayer. The past few weeks I have had divine direction to leave the office and go to my place of prayer and pray over my life, my family, City on a Hill Church, COAH’s Ministry Team, and our city. I picked this book up “by chance” last Friday while in the bookstore. As we all know nothing happens by chance it was a divine interruption, a divine intersection for me. I am 19 months into this sovereign move of God called City on a Hill Church. I know beyond the shadow of a doubt we would not be experiencing what we have experienced without consistent, fervent prayer. This church was planted out of a season of prayer and fasting like never before. City on a Hill Church has seen miracle after miracle and provision after provision because of God’s grace and consistent, fervent prayer. I myself can honestly say I have never been closer to my God, Savior, and King Jesus in my entire life because of consistent, fervent prayer. The Circle Maker challenged me to “look over my shoulder” at all that God has done in and through my life and the life of City on a Hill Church. I found myself weeping tears of joy and celebrating this beautiful yet brutal journey in church planting and pastoring. I know this hasn’t just been my prayers but the prayers of a church on our knees. I have had a faithful group of men and women consistently and fervently praying over me, my family, and this church. For that I am forever grateful to you [you know who you are]. Reading The Circle Maker over the past few days has re-ignited my fire and re-stoked the flames of my imagination to dream even bigger than before and to make big asks of God like never before all to His glory of course. On Friday after reading a few chapters I got into my car and drove a huge circle around the city praying for the lost to be found and wanderers to come home. I asked for God to transform the lost and wanderer into disciple making disciples and send them as missionaries back into every culture in our city to His glory. I staked my claim over this city in Jesus name and walked properties, some abandoned and some occupied trusting God for what I know He has promised, a permanent home for City on a Hill Church. All the while I praised, thanked, glorified, and exalted Him for our 11,000 square foot miracle on Dr. MLK street North. I “looked over my shoulder” and rehearsed the day I walked into the Willis Johns Recreation center and heard Brad Rice call out my name. I smiled and treasured in my heart that God had removed my reservations [UNCERTAINTY] because He already had reservations [A place to call home] for COAH. I drove by our current home and prayed over the building and the staff fervently. As I drove through the city God expanded my vision and gave my dreams, dreams:) I dreamed of all the ways we could serve God in a permanent location. I prayed over and drew circles around a youth development/mentoring program, martial arts program, School of Urban Missions [Seminary], Wednesday night services with a full compliment of ministries for the family, counseling center, car care clinic for single moms, after school program, Christian school and more! I told you it was a God sized dream. I prayed circles around the future impact it would have on this city, region, and ultimately the world. I prayed circles around the promise I feel and has been confirmed in the hearts of numerous people over the past 19 months concerning a debt free building given to us or purchased for us to the glory of God. You see my dreams are all debt free dreams. We have committed as a church to never be a slave to the lender which means if we don’t have the resources to buy it outright than we don’t buy it. I believe in my heart that our miracle is coming. Just putting it in writing takes great faith. I know full well one day I will “look over my shoulder” and pull this blog up to rehearse the good deeds of God. I have a “sun stand still” faith and audacious faith requires audacious action. Let me encourage you today to “look over your shoulder” at what God has done in, for, and through you and then turn your eyes toward the future and begin praying circles around your God ordained dreams. One day we will celebrate together all that He has done! 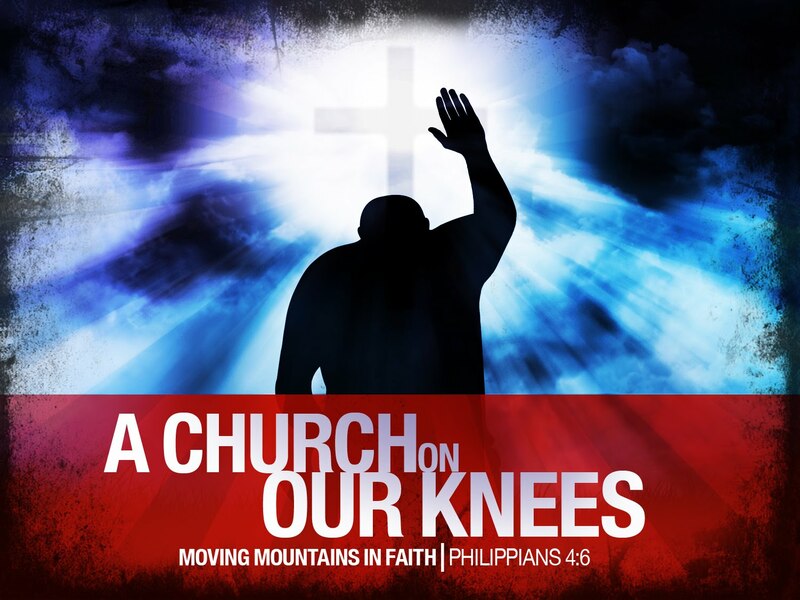 Here is what I know, all of this can and will happen if City on a Hill Church is a Church on our knees. All that has happened and all that ever will happen will be birthed through consistent, fervent prayer. Draw your circles today. Got to go I got some praying to do:) Be encouraged!